Twitter CEO: Alex Jones "Hasn't Violated Our Rules" - Joe.My.God. 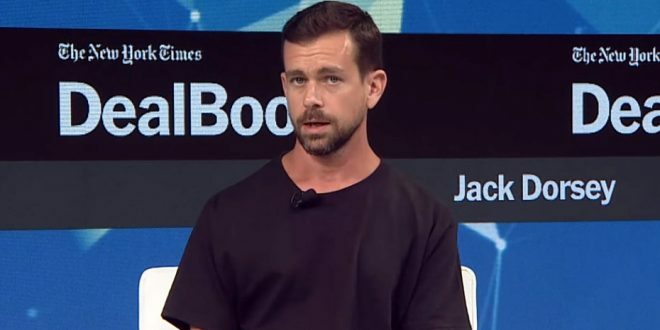 Twitter founder Jack Dorsey has defended his company’s decision to continue publishing the controversial tweets of the American conspiracy theorist Alex Jones, saying Jones’s content “hasn’t violated our rules”. Facebook, Apple, YouTube and Spotify have all banned Jones’ from their platforms, saying he promoted hate speech and violence, but Twitter had allowed Jones to continue posting on the platform. Dorsey said the company was committed to promoting “a healthy conversational environment” – which included Jones. We didn’t suspend Alex Jones or Infowars yesterday. We know that’s hard for many but the reason is simple: he hasn’t violated our rules. We’ll enforce if he does. And we’ll continue to promote a healthy conversational environment by ensuring tweets aren’t artificially amplified. Truth is we’ve been terrible at explaining our decisions in the past. We’re fixing that. We’re going to hold Jones to the same standard we hold to every account, not taking one-off actions to make us feel good in the short term, and adding fuel to new conspiracy theories. If we succumb and simply react to outside pressure, rather than straightforward principles we enforce (and evolve) impartially regardless of political viewpoints, we become a service that’s constructed by our personal views that can swing in any direction. That’s not us. Accounts like Jones’ can often sensationalize issues and spread unsubstantiated rumors, so it’s critical journalists document, validate, and refute such information directly so people can form their own opinions. This is what serves the public conversation best.